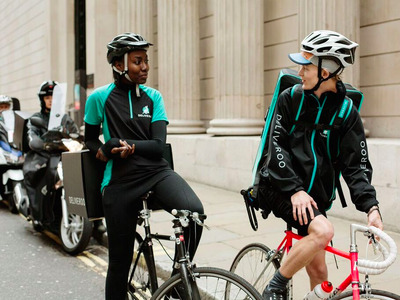 Deliveroo riders are dropping off takeaways to people that have ordered food from UberEATS, causing confusion among the customers of both companies. The riders, who operate on zero-hours contracts, are legally able to deliver food for both companies but the fact that each company has its only uniform is proving to be problematic. 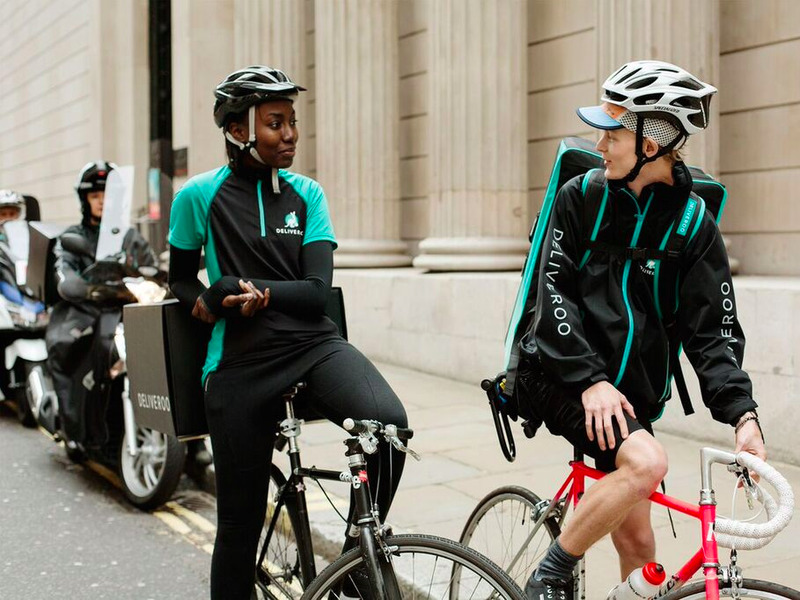 Uber’s uniform is all black with a silver Uber logo, while Deliveroo’s uniform is black and green with the Deliveroo logo. Obviously it’s not practical for riders to change their uniform each time they make a delivery for a different platform. As a result, there are delivery people turning up at people’s homes and offices with an UberEATS bag and a Deliveroo uniform, or vice versa. 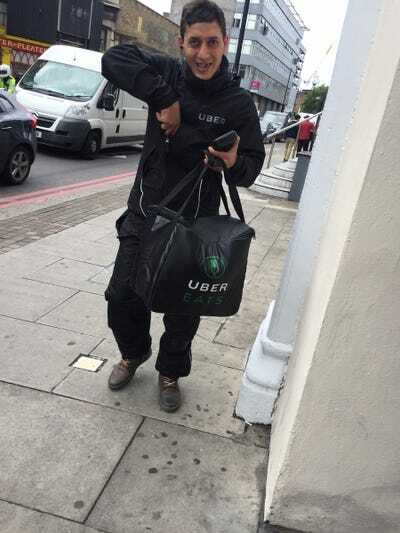 I nearly turned away my UberEATS delivery because the man carrying it was wearing a Deliveroo uniform. Just got my first order from @ubereats . The driver was wearing a @Deliveroo uniform. Pretty confusing. UberEATS launched in London last Thursday and got off to a bit of a rocky start. Prior to the launch, several delivery riders told Business Insider that they intended to work for UberEATS and either Deliveroo or Take Eat Easy, which is another restaurant food delivery startup. Business Insider/Sam SheadAn UberEATs delivery man.